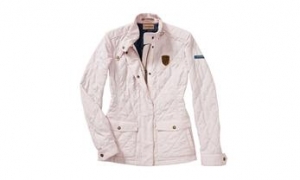 Home Porsche Driver’s Selection Fashionable ladies' clothing with the sporty Porsche look. Fashionable ladies' clothing with the sporty Porsche look. Whether you are going to the beach or shopping in town, you will always be suitable dressed with the line of ladies clothing from Porsche Driver's Selection. This includes sporty shirts to elegant blouses, even warm jackets. These are clothes that fashion-conscious women love to wear. 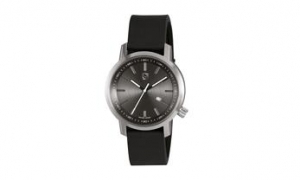 Practical and attractive accessories, such as bags and belts, add the finishing touches to the perfect Porsche look. Ladies' jackets: Always stylish when out and about. Stylish and casual ladies' T-shirts for every occasion. 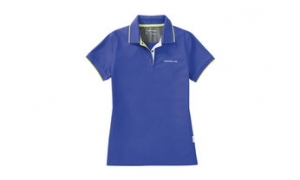 Timeless and sporty ladies' polo shirts. Tasteful and practical: ladies' accessories.